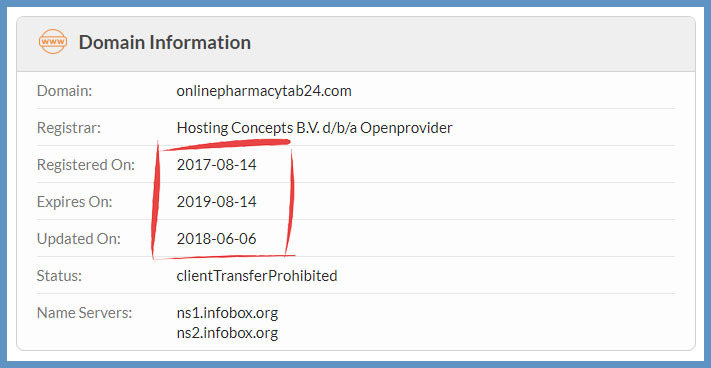 The domain name record for this website address shows us that the site was registered in 2017 and that it will need to be renewed later this year. Scam online pharmacies are normally only registered for the shortest amount of time possible and that seems to be the case here. We are also shown that the owner has decided to hide their real contact information with the use of a privacy service. This is another common practice for websites which are breaking laws and scamming people. 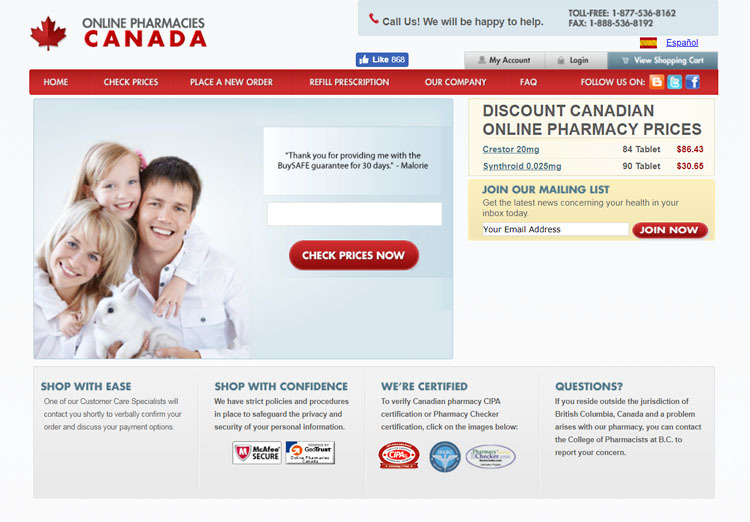 The website is a modern design, but it isn’t unique to this pharmacy. 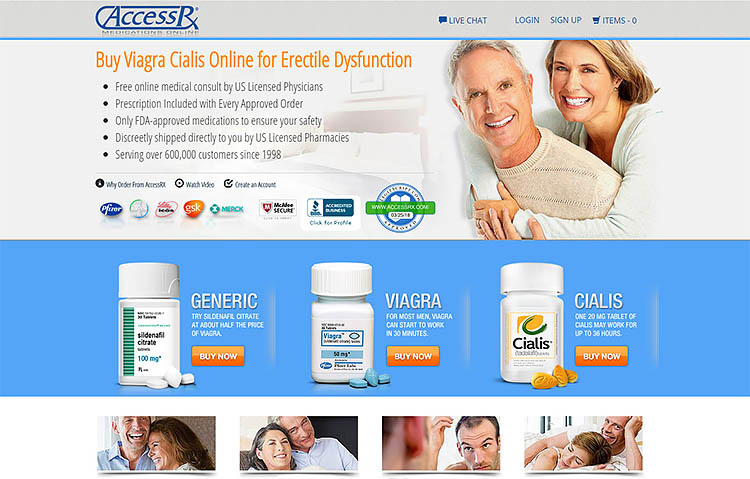 This same website design and content can be found on other affiliated websites. These stores are likely to have the same owner who has created these duplicate stores to try to get as many customers as possible. The only difference between them is the name of the pharmacy. The owner of this store has already shown that they don’t want you to know who they are, and this doesn’t change on their site. The contact page is lacking any address or business information and the about page was broken. They are using a UK phone number and when asked they do claim to be in the UK. Though, just because they are using a UK phone number it doesn’t necessarily mean that this is where they are based. The domain name was registered with a registrar in the Netherlands, the site seems to be based in Germany and the servers are in Russia. This gives us four potential countries in which the owner could be based. The most likely could well be Russia as many scam online pharmacies are operated from that high-risk country. 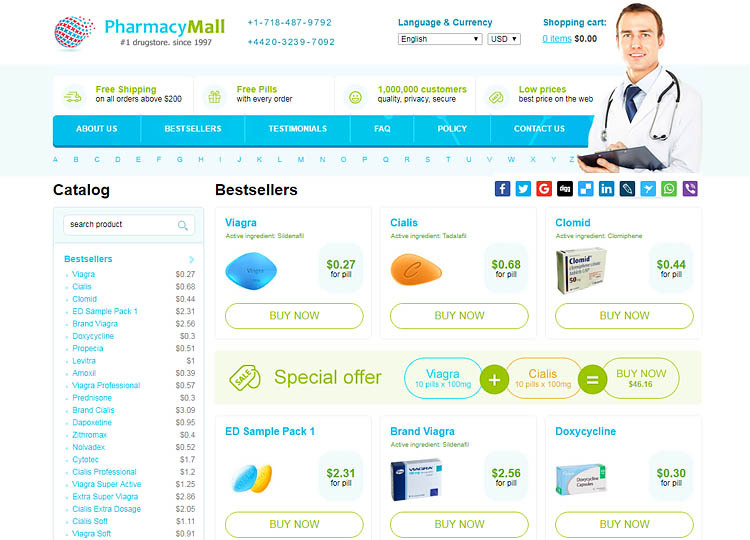 There doesn’t seem to be any evidence that this online drugstore has any regulation. Their claim of being located in the UK would mean that they need to follow the EU regulation in order to be operating within the law. The European rules make it clear that pharmacies need to display the common distance selling logo on every page that displays drugs for sale. This logo isn’t found anywhere on the store. It is also a requirement that the store is registered with the government agency which oversees medical sales. Checking with the UK Government MHRA (Medicines & Healthcare products Regulatory Agency) database shows us, unsurprisingly, that they are not correctly registered. This means that they are operating this store illegally in the UK. A check with LegitScript confirms this finding giving the site a ‘rouge’ rating. Confirming our finding that they are in violation of the law in operating this business. This store has a fairly good selection of treatments available, though their best sellers are men’s health pills. 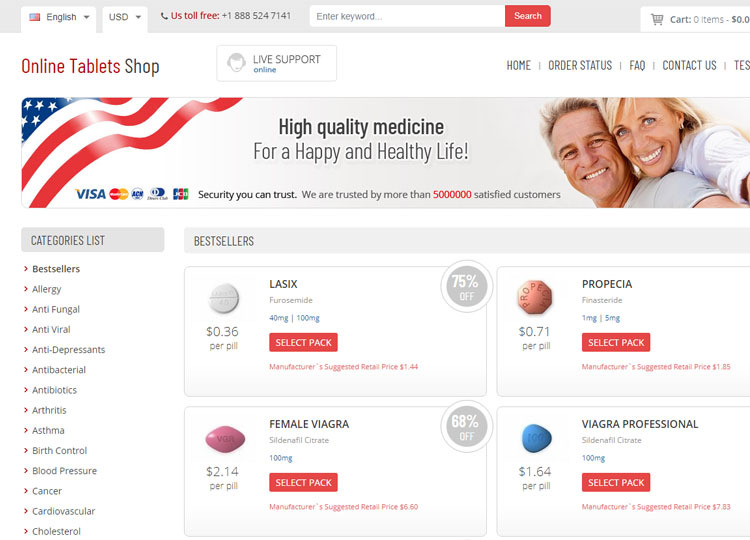 They mainly sell generic drugs, though there are some brand-name pills offered. Drugs are dispensed from India, Singapore and Switzerland. A lot of generic drugs are produced in India but so too is a lot of counterfeit and fake medication. With the use of multiple countries for the sourcing of medication, the chance of you receiving fake pills which don’t perform as expected is naturally higher. There is no mention of prescriptions on this store. They clearly don’t care who they sell their drugs to and what the side effects could be for that patient. We can’t find any coupons for this store, though if you do find any yourself we don’t recommend you use them. Payment for drugs can only be made using a Visa credit card. Not only is this going to be inconvenient for a lot of people, but it speaks of the store’s unprofessional approach to business. Another issue when ordering from here is that you have order pills to the value of at least $30 or they won’t let you complete the checkout process. The main store is not secured as you would expect a legitimate store to be. When you go through the checkout process you are redirected to another website altogether. This is secured with an SSL certificate and is likely a hub payment site for the affiliated stores we highlighted earlier. Shipping is via an express delivery service at the high cost of $29.95. The expected delivery time is between 7 and 14 business days. This delivery service seems to come with a tracking number as well. The customer support seems to be somewhat lacking, with the FAQ page only answering 6 questions. You can contact them via an online form, phone number or live chat for some more information. 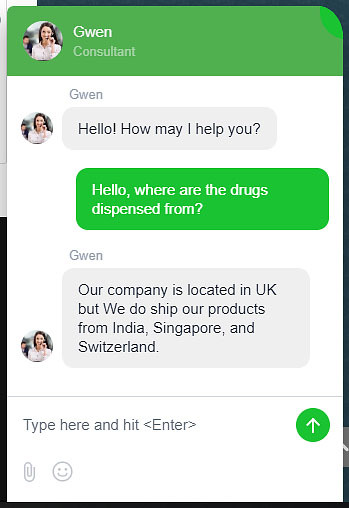 The live chat was responsive when we tried it, but how well they will perform if you have complaints is uncertain. It’s one thing answering questions when you are trying to get a sale and quite another when dealing with complaints. 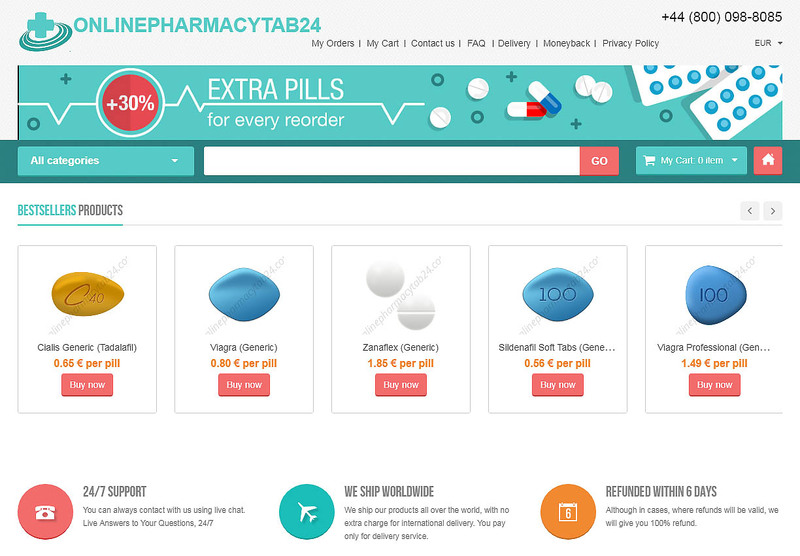 OnlinePharmacyTab24.com reviews from previous customers have been difficult to find. We were only able to locate one testimonial, and it was far from favorable. This unfortunate customer was messed around, then completely ripped off by this pharmacy. This isn’t a great surprise given what we have already learned about this store, but the level of despicable behavior shown here did catch us out. A lack of any good customer feedback is certainly something which should make you think twice, even if you haven’t been deterred by what we’ve already uncovered. There is very little good to say about this drugstore. They have missed the mark in so many ways, the main issues include, hidden contact details, no regulation, illegally operating and being part of a network of dubious pharmacies. Really, the only thing in their favor is that live chat actually works. It is for these reasons, that we only award this store 0.9 stars out of 5. 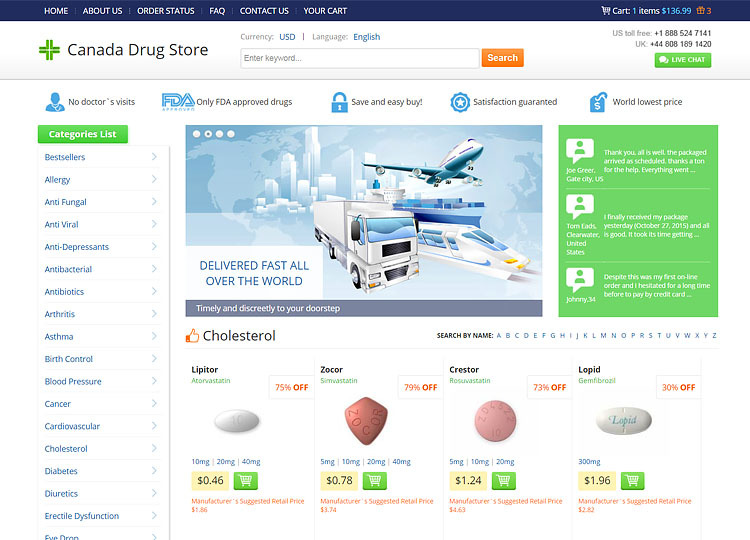 There are a massive number of pharmacies which are better than this scam, look elsewhere.